A variety of species, including the human, have been shown to be susceptible to the embryotoxic effects of inorganic arsenic. Malformations of the axial skeleton, neurocranium, viscerocranium, eyes, and genitourinary systems as well as prenatal death followed a bolus dose of trivalent or pentavalent inorganic arsenic. Trivalent arsenic was more teratogenic than pentavalent arsenic; in contrast, the methylated metabolites of arsenic possessed only limited teratogenic activity. Administration of inorganic arsenic to mammals results in concentration of arsenic within the placenta and small amounts are deposited within the embryo. Studies concerning the pathogenesis of arsenic-induced axial skeletal lesions revealed early failure of neural fold elevation and a subsequent, persistent failure of closure of the neural tube. Physical factors, drugs and heavy metals may modify the response to a teratogenic dose of inorganic arsenic. Medical problems associated with industrial or agricultural arsenicalism are most often typified by chronic exposure; future studies should emphasize those routes of administration and types of exposure that are characteristic of arsenic intoxication. Arsenic has been known from antiquity as both a therapeutic agent and infamous poison. Arsenikon or arrhenikon, from which the etymology derives, refer to the Greek denoting orpiment yellow, and the historical linguistic syntheses of the Syrian zarnig and Sanskrit hiranga (gold), hari (yellow), underlie the word (Webster, 1941). The chemical and physical properties of arsenic-containing compounds have been summarized (Doak et al., 1978) and reviews of the medical use, toxicology, and environmental import of arsenic compounds have been compiled (Buchanan, 1962; Frost, 1967; Lisella et al., 1972; Schroeder, 1966; Vallee et al., 1960; NIOSH, 1975; Harvey, 1975). The inorganic arsenites have agricultural significance as insecticides, herbicides, rodenticides, and fungicides. The lead, calcium, and sodium arsenates have been employed primarily as insecticides whereas arsenic pentoxide has found use as a defoliant and herbicide. Organic arsenicals, including the derivatives of benzene arsonic acid, have served as hog and chicken feed additives. Domestic consumption of arsenic acid in 1971 utilized as an agricultural defoliant and dessicant for cotton, citrus, and field crops was 6,073,000 lbs. and the annual consumption of all organic arsenicals used by farmers was 7,981,000 lbs. The primary agricultural use of the organic arsenicals was in pest control for cotton, sorghum, soybeans, rice, fruits, and nuts; 4,269,000 acres were treated (Andrilenas, 1971). While arsenicals are used in a variety of manufacturing processes in the pigment, glass, petrochemical, and paint industries, occupational arsenicalism has been particularly pronounced in those copper, lead and zinc smelters which process arsenic-rich ores and during the production or agricultural application of arsenic-based sheep dips and other economic poisons (Bljer, 1975; Hine et al., 1975). Arsenic is not only an industrially and agriculturally-produced contaminant, it occurs naturally as organic complexes in rather high concentrations in crustaceans. The inorganic forms of arsenic predominate in drinking water and wine (Crecelius, 1977). Inorganic forms arsenic are more acutely toxic than the organic arsenicals and the toxicity depends upon the oxidation state of arsenic. Conversion between the oxidation states of inorganic arsenic have been shown to occur both in the environment and in the animal body. 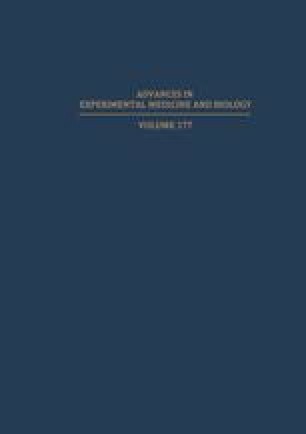 Recent studies (Vahter and Norin, 1980; Vahter, 1981) have suggested that the differences between the toxicities of trivalent and pentavalent arsenic depend upon the extent of in vivo biotransformation to methylated metabolites. Environmental oxidation favors the conversion of trivalent arsenic to pentavalent arsenic. Pentavalent arsenic may be partially reduced in vivo to trivalent arsenoxide (R·As:0), but it is the in vivo reduction of arsenate to arsenite which accounts for both toxicity and antimicrobial actions (Harvey, 1975). Rumen microflora obtained from Holstein cows reduced arsenate to arsenite (Forsberg, 1978). Ginsberg (1965) demonstrated that arsenate may be resorbed by the proximal tubule of the dog kidney and excreted as arsenite. Mealey et al. (1959) observed the urinary excretion of arsenate by humans following intravenous injection of arsenite. A variety of microorganisms have been observed to convert inorganic arsenic to methylated derivatives. Dimethyl arsine, dimethylarsinic acid (CH3)2AsOH, and methylarsonic acid CH3AsO(OH) have been employed as agricultural herbicides and occur as microbiallyformed contaminants. Cox and Alexander (1973) studied the biotransformation reactions as carried out by fungi isolated from arsenic-containing sludge. Anaerobic bacteria may also reduce arsenate As(+5) to arsenite As(+3) and methylate the latter to form methylarsonic acid As(+3). Methylarsonic acid was subsequently reduced and methylated to yield dimethylarsinic acid As(+1) and it was ultimately reduced to dimethylarsine As(−3) (McBride and Wolfe, 1971; Braman and Foreback, 1973). Others (Braman and Foreback, 1973; Charbonneau et al., 1978; 1979; 1980; Crecelius, 1977b; Lasko and Peoples, 1975; Odanaka et al., 1980; Penrose, 1975; Smith et al., 1977; Tam et al., 1978; 1979) have documented the in vivo methylation of inorganic arsenic in humans, cows, dogs, cats, rats, mice, hamsters, and trout after oral, intramuscular, or intravenous dosing or after inhalation of various forms of inorganic arsenic. The initial reduction of arsenate to arsenite was followed by the slower synthesis of methylarsonic acid in vivo (Charbonneau et al., 1979) or In vitro as catalyzed by rat caecal microflora (Rowland and Davies, 1981). The subsequent production of dimethylarsinic acid indicated that methylarsonic acid was an intermediate in an arsenic methylation sequence by which inorganic arsenic was ultimately converted into dimethylarsinic acid. The major form of arsenic in tissue of rats following oral administration of sodium arsenate (Rowland and Davies, 1981) or in urine of mice given a single oral dose of sodium arsenate or arsenite (Vahter, 1981) was dimethylarsinic acid. Whole body retention of arsenic in mice was two-three times greater after treatment: with As(+3) as compared to treatment with As(+5) (Vahter and Norin, 1980). Arsenite was methylated to a greater extent in both rats and mice than was arsenate, but the methylation of arsenic in rats was less than that in mice. Vahter (1981) suggested that the differences in extent of biotransformation by rats and mice may account for the fact that whole body retention of arsenic was twenty times greater in rats as in mice. Others (Tam et al., 1978; Charbonneau et al., 1979) suggested that hepatic mechanisms play a role in the in situ biotransformation of inorganic arsenic. Cox and Alexander (1973) and Jernelov (1975) have proposed chemical mechanisms for the methylation reactions of inorganic arsenic to trimethylarsine via dimethylarsinic acid or arsenious acid. Mention of trade name, proprietary product or specific equipment does not constitute a guarantee or warranty by the United States Department of Agriculture nor does it imply its approval to the exclusion of other products that may be suitable.